Zippo Pay Review - What Is It & How Does It Work? Zippo Pay Review – What Is It & How Does It Work? You have probably heard about this new payment option that would help you collect leads instead of money and you are wondering if it is a legit one, and if so, then how can you benefit from it. Join me in this detailed Zippo Pay Review in order to see what it is, how it works and how can you benefit from it. And if you think that you can’t benefit from this new technology because you don’t have a product to sell online, then keep reading and I will show you how you can benefit from it even if you don’t have products of yours and regardless of what you do whether it was affiliate marketing, CPA marketing, E-commerce for physical or digital products, lead generation, Local SEO, services to small businesses, or even if you have a brick and mortar business yourself, your mind will be blown. Price: $3 For The First Month & $20/Month After That. What Is Zippo Pay Exactly? In brief: Zippo Pay is a new electronic payment option/button that you can use to receive payments online for selling either physical or digital products. How Is Zippo Pay Different From Other Payment Buttons/Services? The answer lies in the fact the if you sell products with Zippo Pay, you don’t get money in return, instead, you get paid by generating new leads (email subscribers) to your email list or business. To explain this as simply as possible, I have created the following infographic for you. If they don’t have the money, then they can click on the Zippo Pay Button and then they enter their email address (screenshot below) and get a link that they can use in order to invite other people to join buy the product the same way & join your email list, and when the new subscribers come in to your list (you specify how many people/subscribers you want), the product gets sent to the ORIGINAL Buyer who was the one who shared the link. And for the NEW peopled who entered their emails, they also need to refer other people in order to get the product themselves! This is a really an amazing and revolutionary payment method for getting new leads for very little effort and cost. People who sell products online know how important and valuable it is to generate new leads, and it is usually costly and time-consuming. But with Zippo Pay, you can get people collect leads for you in return of the products you are selling. Now in case you think that will lose the product itself, then remember that each new email list subscriber has a potential value if you know how to market to them your services, products or other people’s products as an affiliate. And anyway, there are still peopled who will want the product now and will pay money for it through the PayPal button in order to get it immediately. And in any case, if the product you are selling is a digital product, then there’s no actual or significant cost in replicating the product. More in the next section on how you can benefit from Zippo Pay Payment Method. How To Benefit From Zippo Pay Button And Who Needs To Use IT? Now you might be asking yourself, how can you become profitable if you are selling physical products and you are receiving only emails in return, or how can you benefit from using Zippo Pay Button if you don’t have your own products to sell, or if you have a brick and mortar business, …etc. Now in this age, digital marketing or internet marketing is a key method of acquiring new clients and increasing the revenue in any business for a lower cost and more efficiency when compared to the traditional methods of advertising. And email marketing is probably one of the cheapest methods of doing repeated marketing and connecting with your existing customers and prospects over and over again. And this applies to almost EVERY BUSINESS: ONLINE & OFFLINE! But the important thing is that you need to collect emails in the first place, and there are many ways of doing that, such as leveraging paid ads such as Facebook or YouTube Ads, Solo Ads, Influencer Marketing, and many other methods. But all of this needs money spent continuously in order to keep getting new people to your opt-in page. While with the Zippo Pay Payment option, you need to get some traffic to your product page, and if they see that they can save the money and instead, pay you by getting other people to your list, then they will start getting traffic to your opt-in page without you paying anything! You get new leads, the buyer gets the product for free, and the new email list subscribers also will get the product for free when they refer other people to your list because they are interested in what you provide. You decide how many new leads/subscribers you want in order for the buyer get the product sent to them, you might decide that you want one new lead, or ten new leads, depending on how valuable each lead is for you. This can go viral and can get you targeted leads quickly and without much effort from your side, as others are bringing traffic to your opt-in page. Does Zippo Pay Work With Any Kind Of Business? In the digital publishing world, you can replicate the product (Ebook, Manual, Checklist, Video Course, …etc.) as many times as you want with almost zero cost, and whatever people pay for it, it is almost all your profit margin. But some people might not have the money, or maybe want to save on themselves, and it won’t really affect you if you offer it for free to them as you are not paying for replicating the product. You can still get paid with something better, which is LEADS! If you ask people to bring others to your email list in exchange to the product your are selling, then you will not lose money because there’s no actual cost behind replicating the digital product. 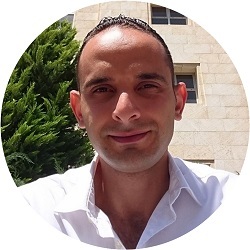 And yes, you lost the money that you could get if you just sold the product for money, but you get new email subscribers to your list, to whom you can now promote repeatedly and make much more money from them if you know how to do email marketing! And in any case, many of the referred people might purchase the product for money because they want it now, which is also great. Now if you are involved in selling physical products, whether they were your own products that you manufacture or keep inventory of, or if you are dropshipping them, then unlike the digital products these products will cost you money when you send them to the buyers, then how can you benefit from this?! Again, here you have to do simple calculations and see how much each product you sell will cost you, and calculate the anticipated value of each new email subscriber, and see how many new subscribers you want in order to release the product to the original buyer. And whether you are selling your own physical products, or if you are dropshipping, you don’t have to offer paying with Zippo Pay for each item you sell! Instead, you can offer the least expensive products that might cost you only $5 to ship to the client from China, and you can offer it to be purchased either with PayPal for money (for let’s say $10), or with Zippo Pay in exchange of getting new 3, 5 or 10 leads before you release the products. This might cost you some money at the beginning if everyone is paying you leads through Zippo Pay, but you will get a good list that you can monetize in order to make back all the money you invested in the first place and more. And you can promote to the new subscribers more expensive items that will make you lots of money repeatedly! And in any case, some people will want to pay you money and get the products as soon as possible, which will make you some money even on the front end, which will cover immediately for the items you are sending in exchange of leads! If you don’t have digital products of your own to sell, and you don’t want to sell physical products, whether of your own or through dropshipping, then you can sell PLR digital products! Digital PLR (Private Label Rights) Products are digital products that you can purchase only once, and then re-sell them as many times as you want, with your name on them without risking any legal obligations. This is if you don’t want to create the product yourself. These products could be ebooks, videos, audio files, photos, images, …etc. There are many marketplaces where you can buy one of these for few bucks, or even for FREE, and IDPLR Marketplace is one of them. And after you purchase the product, you can put your name on it, and start selling it for money or for leads through the Zippo Pay button. In case if you are doing affiliate marketing or CPA marketing, and you don’t have products to sell, but you want to grow your list, then the usual way to do it is through offering a lead magnet in exchange of each person’s email address. And you have to keep driving traffic to your opt-in page by yourself. While if you use Zippo Pay button, you can then offer the lead magnet in exchange of not only one person’s email, but you actually ask them to refer others to your email list before the original person receives the lead magnet. This way you can get more leads faster that if you just ask one person to submit his email address and get the lead magnet directly. And again, the lead magnet can be a digital product that you create (short ebook, checklist, manual, procedure, video, ..etc. ), or a PLR product that you purchase from the IDPLR Marketplace mentioned above. This is similar to the previous idea. For example, if you have an auto-repair or PC-repair workshop, then you might create a small checklist, ebook, or get a PLR one as mentioned above, and then offer it for free in exchange of getting email list subscribers that have cars or PC’s, to whom you can then advertise repeatedly about your services. And you can do this if you are in the home insurance field, loans business, …etc. If you have a web development company, or a marketing agency, or if you are doing any kind of online business and serve other businesses (B2B), then you can use Zippo Pay in the same way as in the previous idea in order to generate new leads to your business. The above are only few ideas, but you can also find ways to use this payment option in order to make sales or generate leads. A new option for getting payments in the form of generating leads if the buyer doesn’t want to pay money. Can get viral and generate many leads and even sales without you spending a lot on traffic. Can be applied to different kinds of businesses. They have a marketplace where you can list your products and get people to your sales page. You can add it as an option beside the PayPal payment method or alone, which might get you some sales as well. You need to have your own sales page, and storage space if you are offering digital. In order to be able to generate Zippo Pay Buttons and use them on your sales pages, you need to pay a recurring fee of $20/month. You can get a discount for the first month and pay only $3, and after that, you need to pay $20/month if you go through this link. With this option, you get to generate UNLIMITED Zippo Pay Buttons and place them on different pages or sales funnels. Done-For-You Webfunnel. $47 one-time-payment, with $1 5-Day trial. ZP Super Affiliate Activator. $97 one-time-payment, with $1 5-Day trial. (This means that if one of your customers starts using Zippo Pay in order to sell his own products in the future, you get a commission for that). ZP Marketplace Mogul. $197 one-time-payment, provides ZP vendors (you) with unlimited featured listings in the exclusive Zippo Pay marketplace, which might get you (premium) unlimited autopilot traffic and exposure for unlimited ZP product offers in virtually any niche. Conclusion – Is Zippo Pay A Legit & Useful Payment Option? 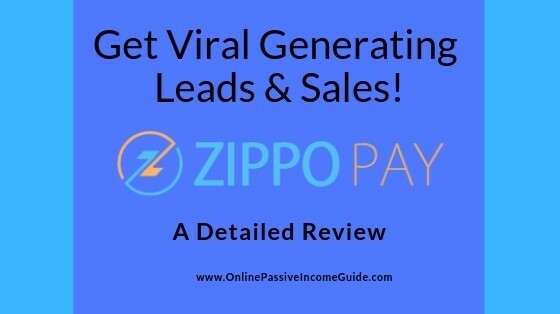 Absolutely, Zippo Pay is really a revolutionary payment option that you can use in order to build your email list virally and even make sales by letting others bring the traffic to your sales page for almost no cost on from your side. I have shown you above different ideas on how to benefit from using it regardless of what kind of business you have, online or offline. As I mentioned, you can get a discount on the first month and pay only $3 instead of $20 through this link. Traffic Ivy Review – Is It A Scam Or Legit?